PASSION: It’s all about being passionate; about making a difference in our society. We love to talk about how we can make an impact. We plan, we innovate, we challenge each other and we actually do it. TEAMWORK: If You Want To Go Fast, Go Alone. If You Want To Go Far, Go Together. We believe in this African Proverb. WORK LIFE BALANCE: It’s always not about NEIMUN work. We respect your personal work, studies, and college/university life balance too. We seek opportunities for the team to grow as individuals and as a team through various training opportunities and we emphasize on “Me Time”. UNCONVENTIONAL MEETING POINTS: NEIMUN Staffs are placed all over North East without a specific Headquarter. We can turn the quite restaurant/hotel or a noisy café to the most productive meeting session and definitely with good North East Indian Food. EVERY OPINION MATTERS: Regardless of your age or degree, we require and regard your opinion, decisions and thoughts. So don’t be surprised if you see a college undergrad with a high position at NEIMUN, leading a development project. OWNERSHIP: Our structure ensures a sense of ownership over the organization and we believe this paves way for more productivity, work satisfaction and commitment. TRANSPARENCY: Nothing is under wraps at NEIMUN. We encourage you to question, learn and unlearn, critique and definitely praise if it is something you appreciate. DOING WHAT YOU LOVE, LOVING WHAT YOU DO: At the end it’s about the experience. We want you to have fun working. We want your journey at NEIMUN an experience, a platform that will lead you to higher and better opportunities. We want you to enjoy studying about world issues, tackling organizational issues and supporting young people’s involvement in decision-making and preparing to be a leader. We are creating a Network of Leaders, for today, tomorrow and the Future. NEIMUN is looking for Young Leaders who can commit time to promote Model United Nations and the workings of the United Nations in the North East. 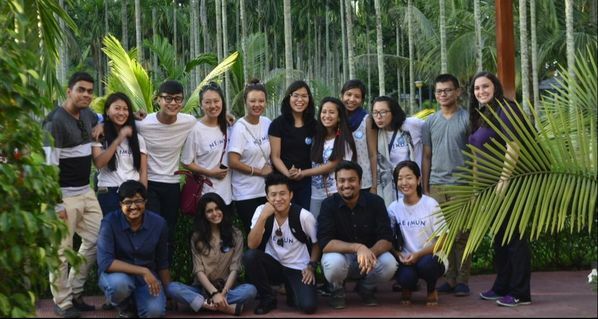 Currently, NEIMUN has 6 full time and part time staff, 3 interns and over 30 Volunteers each year. You can read more about our staff here. If you think you are fit to be part of NEIMUN, check out the positions available below and APPLY. We look forward to receiving your applications.